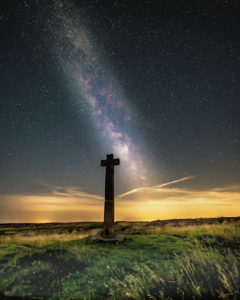 The North York Moors and Yorkshire Dales are a stargazer’s paradise, with some of the best night skies in the country. Look directly overhead during autumn and early winter evenings and you’ll see this shimmering river of light streaming through the constellations of Cassiopeia and Cygnus. The darker the skies, the more prominent it is to the naked eye. 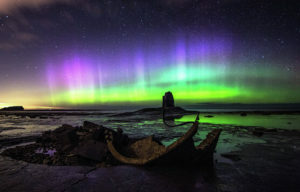 The displays are caused by energetic particles from the sun interacting with the earth’s magnetic field. During intense storms you’ll see pillars of light soaring overhead and the sky tinted red and green above the northern horizon. Updated every Friday, the Sky Week website provides a digest of what you can see in the sky this week. The Pocket Universe app for iphones and ipads has plenty of features and star maps (free lite version available too). Meteor showers happen at predictable times throughout the year and are best seen when the moon is absent, which will change from year to year. Look out for the annual Perseids (August), Orionids (peaks in October), Leonids (November) and Geminids (December). Look for ‘shooting stars’ which move rapidly across the sky before burning up like a firework. 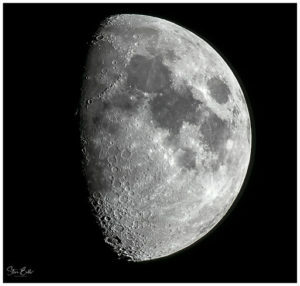 You’ll see the darkest skies when the moon is out of the way – the new moon period – two weeks after full moon, but don’t forget how great the moon is in itself, especially full moons and supermoons. The Time and Date website has details of the moon phases. This is the furthest object you can see with your naked eye from the North York Moors – an incredible 2.5 million light years away. To the naked eye it looks like a small faint streak of light below the zigzag shaped constellation of Cassiopeia. Use binoculars and you’ll see it’s shaped like a rugby ball and fills the field of view. This is another spiral galaxy, similar to our own Milky Way, comprising 300 billion suns and countless planets. The ISS passes overhead throughout the year. Find out when by going to the Nasa website. 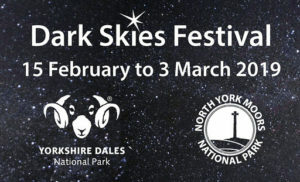 To mark the 50th anniversary of the first moon landing, Dark Skies Festival 2019 will focus on our lunar satellite. From moon gazing events and planetariums to exhibitions and photography workshops, discover the thrills, fun and fascinating science that makes up the night sky. Events and activities are taking place all over the moorland, dales, coast and Howardian Hills. Some of the festival events need to be booked and some are sold out. However, there are some that are drop-in events and events with spaces. Do remember that it is likely to be cold so appropriate clothing and footwear is essential. Wrap up warm especially for evening outdoor activities! A torch could be useful too.